South Korea’s financial authority in February imposed a fine of 72 million won ($63,009) on Goldman Sachs India Investments (GSII), Singapore-based subsidiary of the U.S. investment banking giant Goldman Sachs, and 48 million won on three other financial firms each for illegal naked short selling. The Securities and Futures Commission (SFC) of the Financial Service Commission (FSC) said Tuesday that the Singaporean unit of Goldman Sachs violated local rules by selling short 21 shares of Lotte Chilsung Beverage Co. and 18 shares JW Pharmaceutical without securing underlying assets first. Short selling is an act of borrowing shares then later selling them with hopes of capitalizing on an anticipated decline in the share price. Naked short selling, which is a practice of selling stocks that have not yet been borrowed, has been banned in Korea since 2008 when local securities markets were heavily battered from short selling in the wake of the global financial crisis. GSII claimed the wrongdoing was unintentional and committed by a pure mistake of an employee, according to sources. The Financial Supervisory Service (FSS) proposed a stern action as it is not the first time a Goldman Sachs unit violated Korean short selling rules. 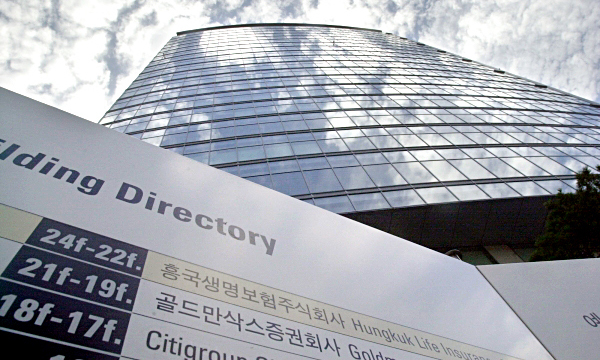 Last November, its Seoul branch Goldman Sachs International was slapped with 7.5 billion won in fine, the largest on record, for naked short selling. At the same time, the SFC also fined 48 million won each on three firms – OLZ AG, Kepler Cheuvreux S.A. and CGS-CIMB, for selling stocks short illegally. The fine was larger than the FSS suggestion of 36 million won.